US #459 – Click the image to order this stamp in your choice of conditions. On June 30, 1914, the US issued its very first stamp printed on the rotary press. It’s also the only imperforate US rotary press coil. 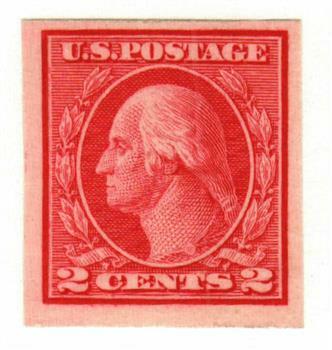 Prior to 1914, postage stamps were printed using the flat plate method. Sheets printed by this process contained 20 rows of stamps with 20 stamps in each row. The introduction of private perforating machines presented a problem. Workers had to paste strips of 20 stamps together, end to end, to form long coils before they could be fed through the machines. This was inefficient and costly. US #CZ106 was issued nine months after Goethals’ death. 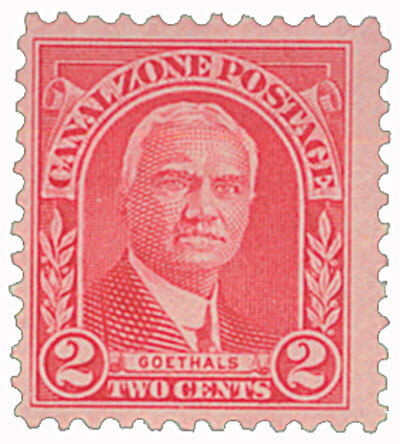 US Army general and civil engineer, George Washington Goethals was born on June 29, 1858, in Brooklyn, New York. Born to Belgian immigrants, Goethals attended the College of the City of New York before receiving an appointment to West Point. After graduating second in his class in 1880, Goethals was commissioned as a second lieutenant in the Army Corps of Engineers. US #646 was issued for the 150th anniversary of the Battle of Monmouth. On June 28, 1778, US and British forces clashed at Monmouth Court House, New Jersey. In 1778, the British planned to evacuate their position in Philadelphia and move the majority of their troops to the main base in New York City. On June 18, the troops began their 100-mile march in temperatures over 100 degrees. US #2704 was issued on the 450th anniversary of Cabrillo’s arrival at present-day San Diego. 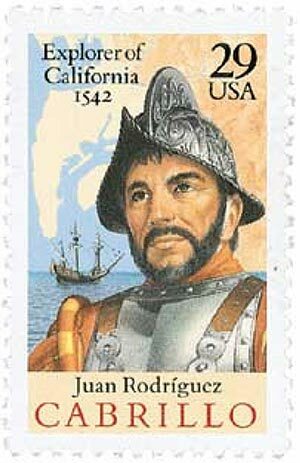 On June 27, 1542, Juan Rodriguez Cabrillo departed New Spain (present-day Mexico) in search of a water route between the Atlantic and Pacific. Cabrillo was born in either Spain or Portugal in 1499. The nation of his birth has been debated for centuries, though a document discovered in 2015 has led many to believe he was born in Spain. In fact, the issue of his birthplace sparked a bit of controversy when this stamp was issued, so the selvage on stamp sheet reads “If he was Portuguese as many believe, his name would be spelled Joao Rodrigues Cabrilho.” The stamp uses the historically accepted Spanish spelling of the name. US #3962 from the Distinguished Marines issue. 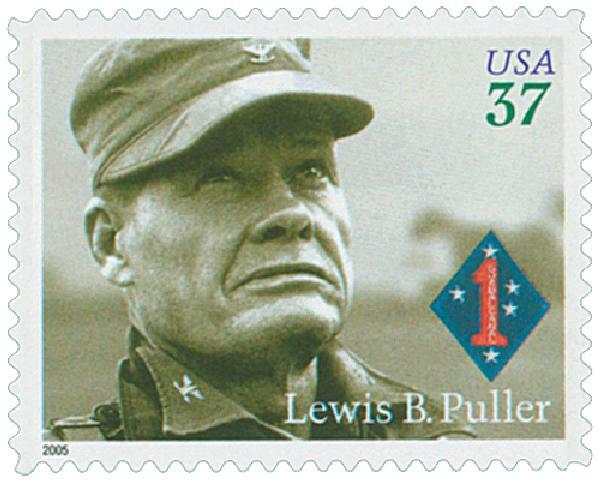 Lewis Burwell Puller was born on June 26, 1898, in West Point, Virginia. As a child, Puller enjoyed listening to the tales of Civil War veterans and particularly idolized “Stonewall” Jackson. He had hoped to join in the Border War with Mexico in 1916, but he was too young and his mother wouldn’t consent to let him go. US #RD1 – The first Stock Transfer stamp issued in 1918. 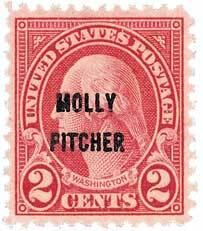 On June 25, 1918, Stock Transfer stamps were approved for use. 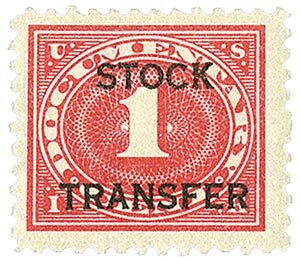 As the name suggests, Stock Transfer stamps were used to show taxes had been paid on the sale or transfer of shares or certificates of stock. A temporary tax had been placed on stock transfers several times since the Civil War. Then the US placed a .2% tax on the sale or transfer of stocks in the Revenue Act of 1914.